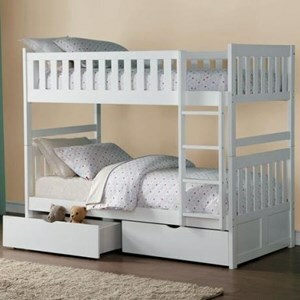 The Kensington Twin/Full Bunk Bed with Panel Headboard and Footboard by New Classic at Beck's Furniture in the Sacramento, Rancho Cordova, Roseville, California area. Product availability may vary. Contact us for the most current availability on this product. 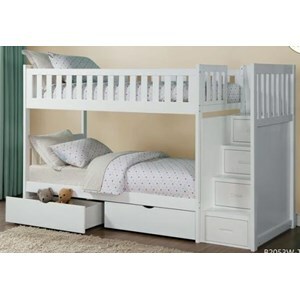 561400630 Twin Storage Footboard 1 42" 17" 14"
594400630 Bunk Rails and Ladder 1 75" 11" 1"